(RRP £349.99). 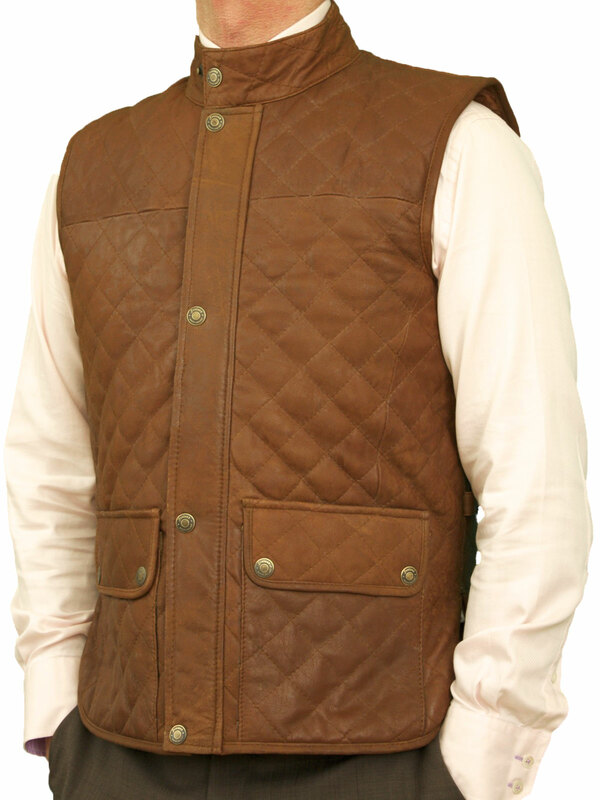 A classic Barbour-style fine quality leather gilet body warmer – great for casual or smart-casual wear – it has been tailored from soft lambskin nappa that has been buffed to give it a natural matt, slightly ‘worn’ appearance. 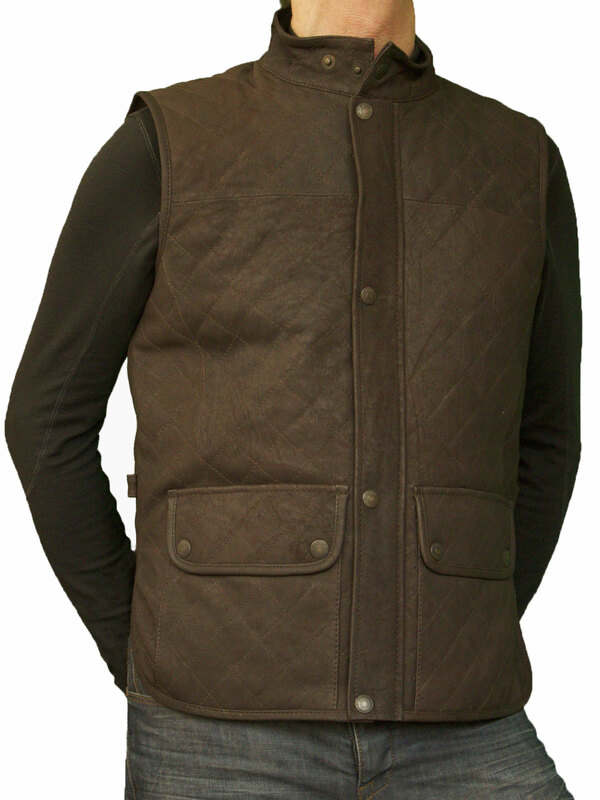 The leather is naturally windproof and the light quilted lining also gives added comfort and warmth. 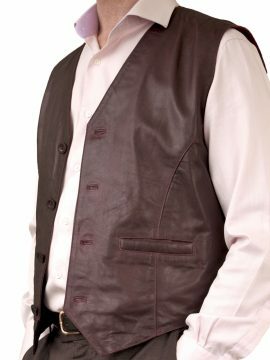 It has a stand-up collar with press-stud fastener, plus 4 more press-stud fasteners along the front over a full length zip. 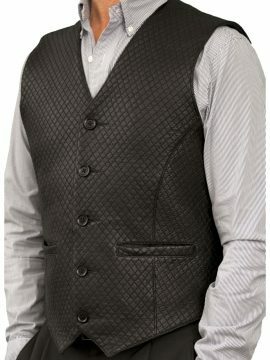 There are 2 deep front pockets with press-stud fasteners plus two inside breast pockets, one with zip fastening. Made by Fenland (UK). 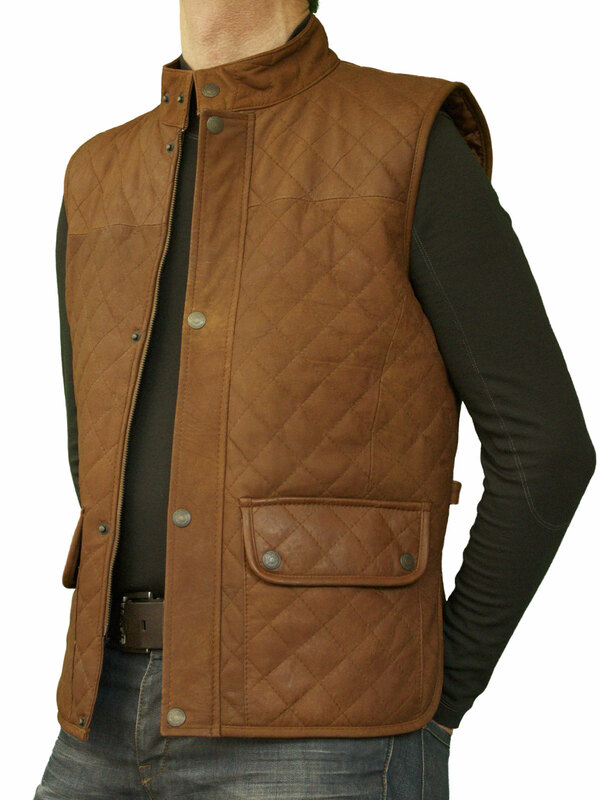 Smart, warm and comfortable – a quilted diamond stitch mens leather gilet bodywarmer, made by Fenland, tailored in a classic ‘Barbour’ style from soft lambskin nappa leather that has been buffed to give it a natural matt finish. 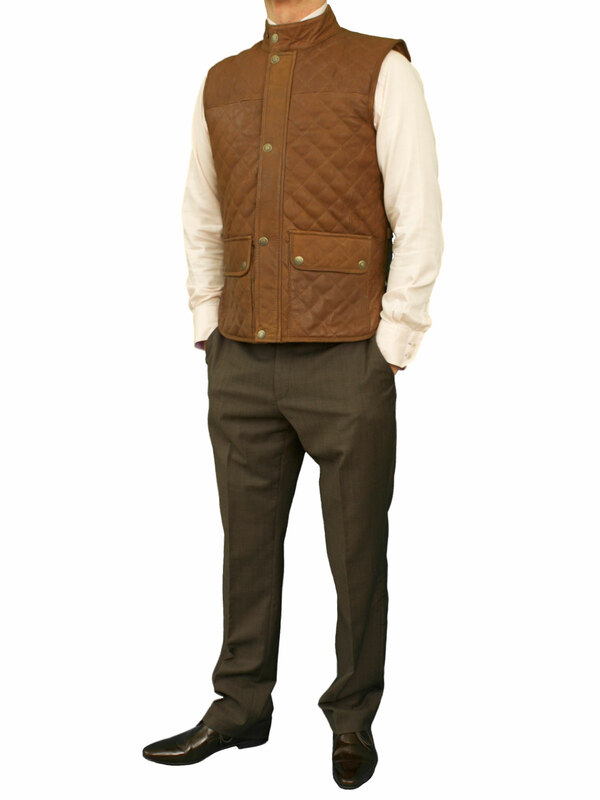 Great for smart-casual wear, outdoors or indoors. 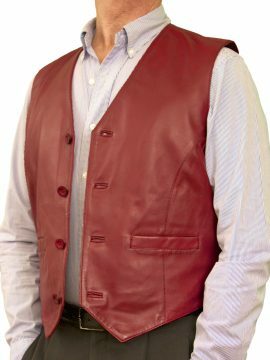 This gilet is styled to give a slim snug fit when fastened. Our best advice? 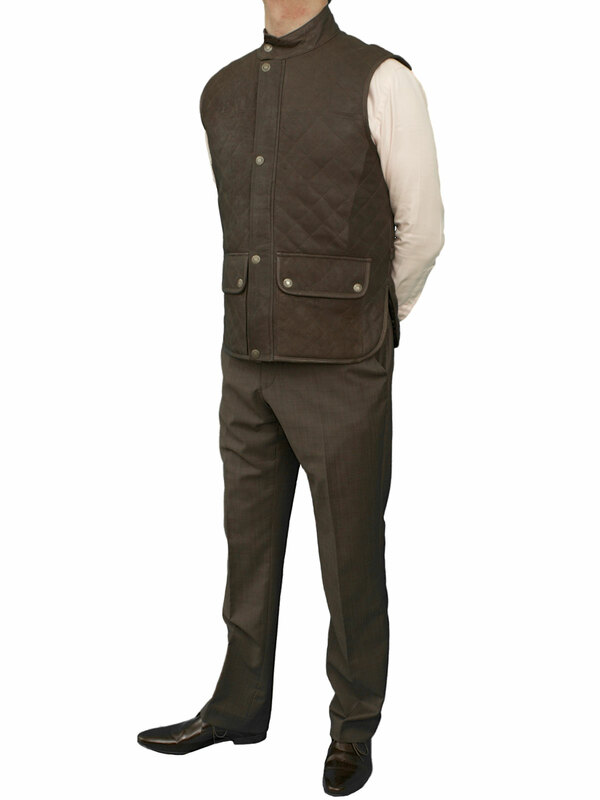 Do not choose the size you think you are normally – please get the tape measure out and measure your chest & waist! PLEASE TAKE THIS INTO ACCOUNT WHEN CHOOSING YOUR SIZE. 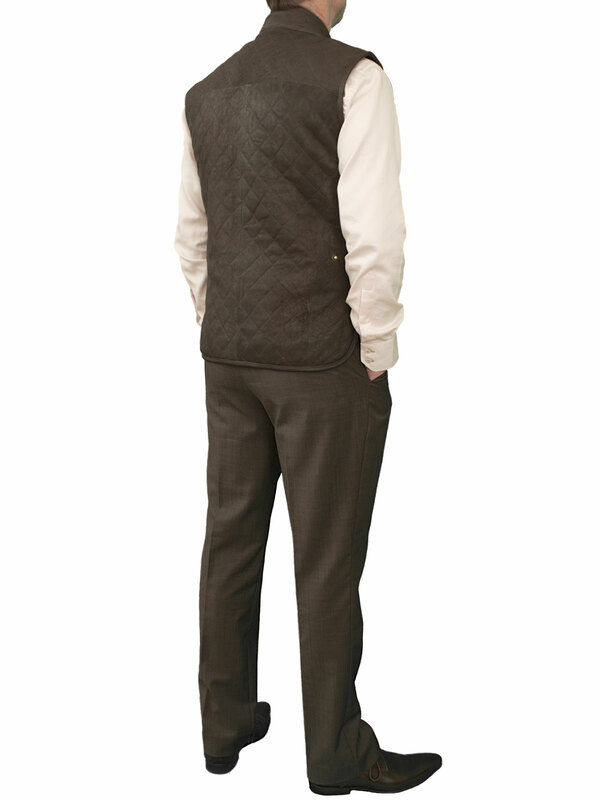 Our Sizing Information gives more details.